The City of Vancouver is hosting the 27th International Ornithological Congress, 19-26 August 2018. The Congress is considered the oldest and most prestigious of meetings for bird scientists, occurring every four years since first being held in Vienna, Austria, in 1884. Canada has hosted only once previously, Ottawa in 1986, and Vancouver will be the first time the Congress has been on the Pacific Coast of the Americas. Check out their website for program details and scheduled activities. 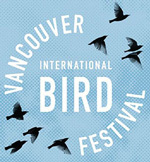 Coinciding with the Congress is the Vancouver International Bird Festival that provides awareness and opportunities to experience birds to the public; is a marketing opportunity for the birding, nature and outdoor industries; and promotes the conservation of birds. Many associated activities are planned.